whats out there for 4 cylinder performance? They had to ship the parts to my PO Box. Something about their own policy that the parts had to be shipped to the credit cards billing address. So they would not ship to my business address. Which would have worked out better since I have a UPS drop off and pick up twice per day. But alright, I'm sure they have the policy for one reason or another. Needless to say it's been 10 days since I ordered the parts and they haven't arrived yet. I called to find out what the scoop was... I was told "Because we had to ship to your PO Box, we shipped your parts US Postal... we only drop parts off for shipment at the post office once per week. We dropped your parts off on Friday. If we shipped UPS, the parts would have left that same day". So my credit card is billed, they ship my parts 5 days later and I'm left waiting. Simple customer service has gone down the drain! We are a new brand developing parts for the European Pickups. 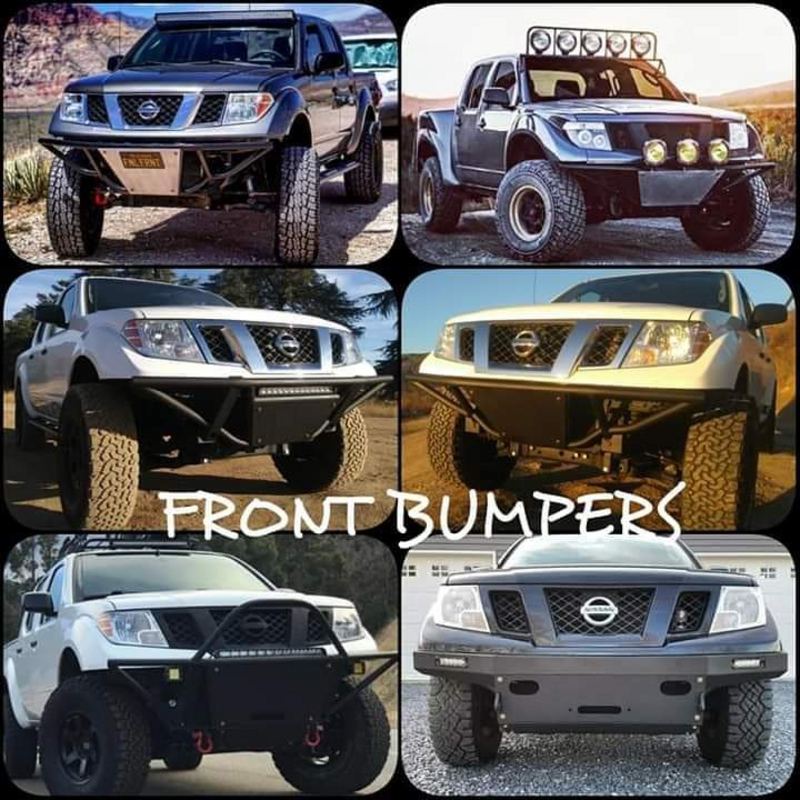 The Nissan is our first project and these are we have available for the Frontier: Front Bumpers, Skid Plates, Rear Bumpers, Leveling Kits, Body Lift Kits, Roof Light bars, Wheels, Tires, Lights, Shocks and a few Accessories. Anyone know of a place to find a replacement chrome rear step bumper for a 2007 Frontier LE? 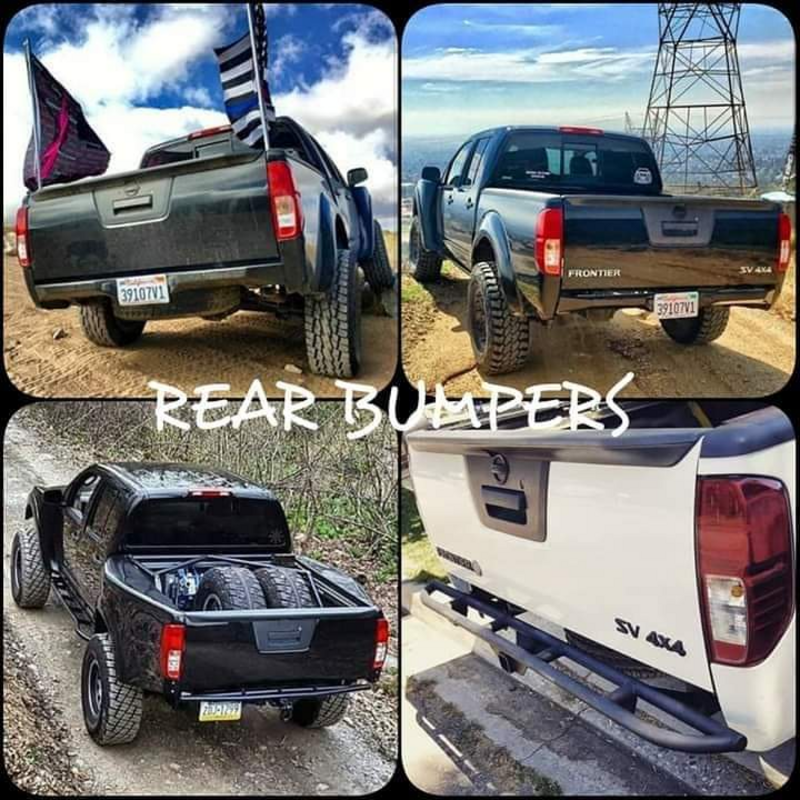 This site ( http://www.courtesyparts.com/85010-bumper-assy-rear-frontier -d40-2006-2008-senismo-2005-2009-cyl-cyl-p-215348.html?cPath =4888_4889_5027_5043& ) has one listed for an '06-'08 KC & CC (SE & NISMO)... The LE would require the same bumper as the SE and NISMO wouldn't it? By the way, the reason I'm asking is that I had an accident and took it to a repair shop. The shop says Nissan is no longer offering chrome rear step bumpers for 2007 Frontiers. I was skeptical, but after having so many issues finding it for myself, I'm beginning to wonder. Anyone know better? 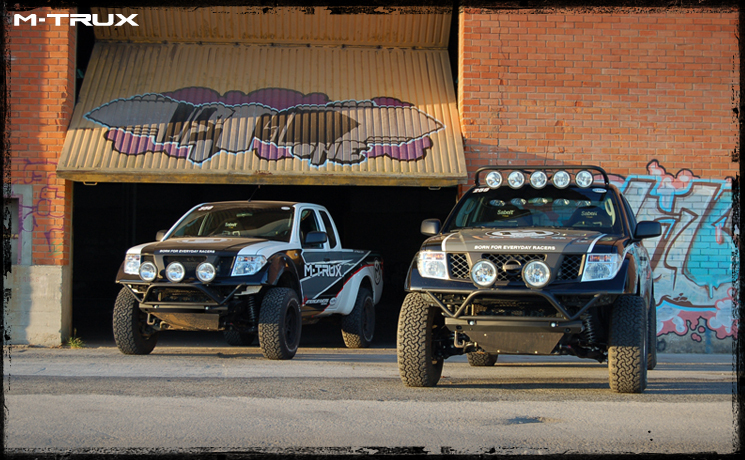 Offroad bumpers, rock sliders and more for the 1st and 2nd gen frontier!